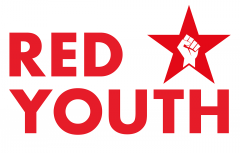 Red Youth member Dan Interviews a young member of the TKP, the Communist Party of Turkey, on the impact of the Gezi Park uprising, on the party and wider Turkish society. The uprisings and mass protests sparked by the attacks of the Turkish State and the sustained reactionary policies of the AKP government have politicised a great mass of Turkish workers, more than 10 million of whom took part in the 6 week demonstrations. Membership of the TKP doubled during the uprisings, and the Party’s prestige, having taken on and defeated the reactionary Turkish state, has been greatly enhanced. We wish our comrades every success in the coming period, strengthening and deepening their links with the widest section of the Turkish Masses. Gezi was just the beginning of this new phase in the struggle. Revolutionary change is yet to come. PAIGC on Libya – All Africa will suffer from NATO's colonial and genocidal war! 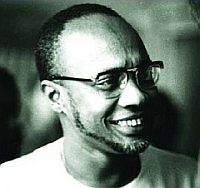 Cabral died just 9 months before the party he founded – the PAIGC – liberated his homeland, Guinea Bissau and Cape Verde, from 500 years of Portugese Colonialism, bringing the downfall of the Potugese fascist junta in its wake. He and his comrades from the PAIGC also played a vital part in the liberation of other (Particularly, but not exclusively, Portugese speaking) African nations. He was a founding member of MPLA (Angola) and the Portugese Communist Party, inter alia. Comrade Teodora Ignacia Gomez, Womens’ activist, liberation fighter and comrade in arms of Cabral, features in this video interview, which is an exert from a longer interview she granted to comrades of the CPGB-ML on her recent visit to London. She outlines the supportive relationship that Colonel Gaddafi’s Libya had fostered with Guinea Bissau, as so many other African Nations. Libya had tried to bring about sustainable infrastructural and agricultural development in Guinea Bissau, she tells us, both through the African Bank and independently granted aid. As a result of NATOs genocidal war on Libya, and the illegal ousting of her legitimate government – and now Gaddafi’s cowardly and brutal assassination, which foul deed took place 24 hrs after this interview – the people of Guinea Bissau and all Africa will suffer, she says.